When writing fantasy, the key to any good magic system lies in consistency. This is a lesson I’m learning now. It’s easy for me to get caught up in developing innovative forms of craft (incantations, wands, etc.) or cultural heritage. However, without consistency as a back bone, there’s really nothing to make a magic system believable, and even in fantasy, believability is very important. So, here are a few key areas of enforcing consistency within a magic system. One hang-up my beta readers are catching in my current work in progress is cultural consistency: magic systems’ should be reflected in the cultures they inhabit. My husband gave me an example of this just yesterday. In The Kingkiller Chronicles, the main character encounters an inn that uses magical bells that are connected such that when one rings, the other rings as well, allowing bell hops in the hotel to provide quick service. The main character sees this as an extremely frivolous use of complex magic, but the point of the little episode is that magic interacts with the world outside the narrative. This helps enforce consistency with how magic connects to the story and invokes believability. 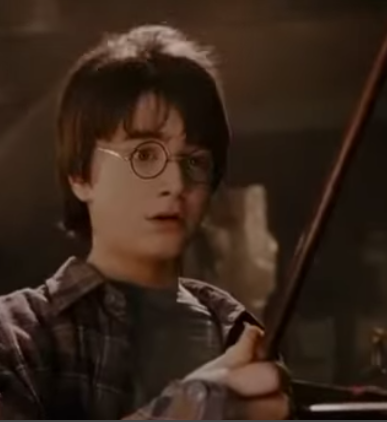 Put it this way: If Harry Potter went to Hogwarts, but we never learned anything about the wizarding world outside the school, or the treatment of people without magic, would that fictional world and it’s magic have held such potency? Probably not. Screenshot: Harry Potter and the Sorcerer’s Stone (Warner Bros. Pictures, 2001). A magic system is far more believable if the audience can see or anticipate how the system actually works. Let’s return again to our two original examples: The Kingkiller Chronicles and Harry Potter. In The Kingkiller Chronicles, the author put a great deal of time in developing a detailed magic system: the laws of physics are kept in mind if not closely followed, and expert use of this magic is more about creatively using basic principles. By following fundamental laws, the magic system adheres to a logical order that the reader can understand and predict. The Harry Potter books lack a lot of this detail, but there is some logical consistency. A person must be magical (and not a muggle) to use magic. They also must have a channeling device (a wand or sometimes an umbrella) and they must know the right words and the correct movement of their wand. These are the “ingredients” of magic. In a good magic system, these elements don’t change, or, if they do, it’s explained in a way that makes sense. 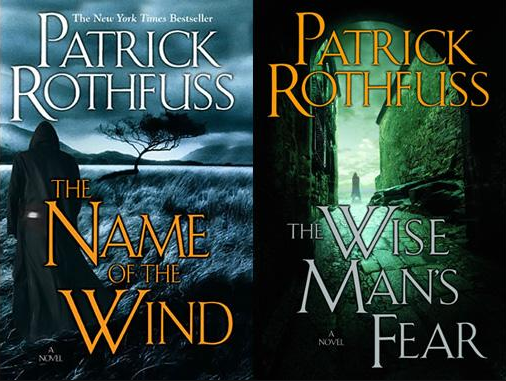 The Kingkiller Chronicles, by Patrick Rothfuss. (DAW Books, Inc. 2008 and 2011). Even with cultural and logical consistency, a magic system is not complete without some sort of cost or penalty. If a magic system does not come with checks and balances, it loses its believability. In Harry Potter, wizards and witches have to learn and specialize in certain forms of magic, which takes years of training. In Kingkiller Chronicles, there are many magical students who go insane. The use of magic requires intense concentration and complex states of mind that, if done rashly, can cause serious mental damage. Without a believable deterrent, penalty, or obstacle for using magic, the system introduces logical inconsistencies: if everyone can do ANY kind of magic, why don’t they? If anyone can and does perform powerful magics, what is compelling about a character with talent and creativity? It’s important to think about these things when planning a magic system. Do you guys have a favorite magic system, and if so, what book/tv show/movie is it from?